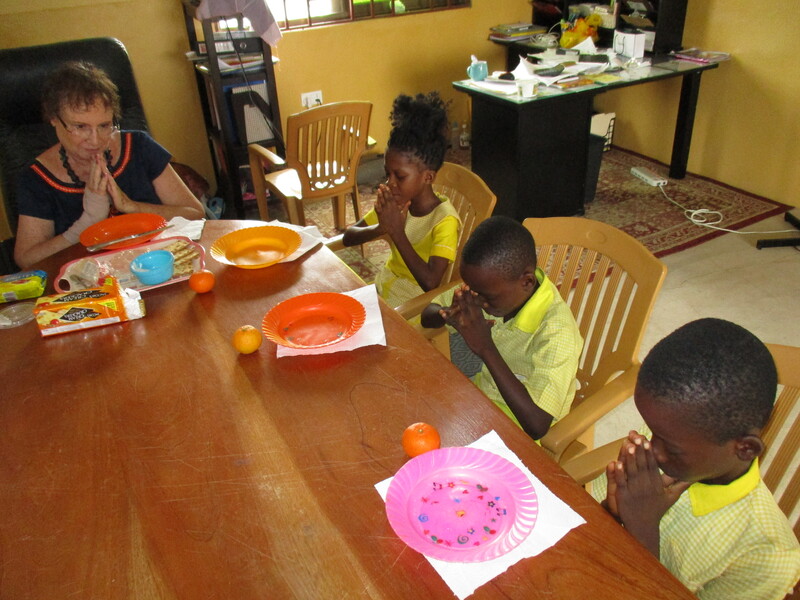 After a class learning “skeptical” and “gullible” the student who participated the most in each class won a chance to eat lunch with the school proprietress, Madam Kathleen. They had an interruption-free hour to eat and ask questions. Lunch was ham and cheese on crackers with English mustard and mayonnaise. A tangerine was for dessert. Kezia (P4) was telling a story about a prisoner who was caught for doing very bad things. He told the police how he was much better now, a better citizen and they should let him go. Elvis (P3) interrupted with his opinion “then the police were too gullible!” Augustine (P5) agreed. I think they learned their lesson! The students were very interested in this class lesson because I told the story behind the saying “don’t drink the Kool-Aid”…a true, fascinating story to primary class students.